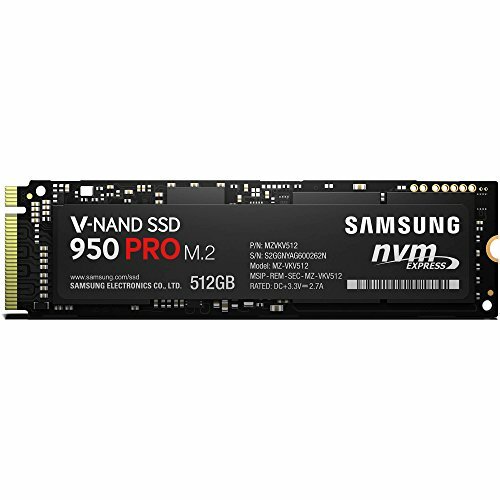 Samsung’s 850 series SSDs has been a popular choice for some time and comes in a 2.5in hard drive-sized format to plug into the SATA connectors found in most desktop PCs. When the 950 arrived last year, it was more of a niche product. It used the stripped-down M.2 format – a small printed circuit board with black chip packages, which looked similar to a memory module. This new M.2 interface was available only on a few motherboards. It’s faster than a hard drive, easier to install and stores similar amounts of data. Since then, M.2 has become a common feature in new PCs, so more of us will be able to use it. Samsung has now replaced the 950 with the 960, which is even faster. M.2’s NVMe protocol works over four PCI-Express lanes to increase maximum read and write speeds beyond SATA’s limit of 600Mbit/s. In our tests, the 950 Pro 256GB even beat Samsung’s own claim of 900Mbit/s writing speed and 2200Mbit/s reading speed, so switching to M.2 is definitely worth it. 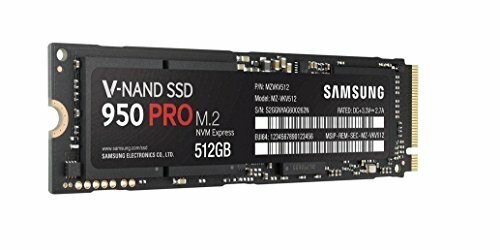 512GB M2 SSD • 22x80x2.4mm • Five-year warranty, 400 terabytes written. This applies even more with the 960 Pro, which promises up to 2100Mbit/s writing and 3500Mbit/s reading. This time our top benchmark results were a little under rather than over, but close enough. In more realistic tests with everyday tasks, it read and wrote small files at 709 and 878Mbit/s respectively, which is only six per cent faster than the 950 Pro, but way beyond any hard drive. With big files it was 33 per cent faster. 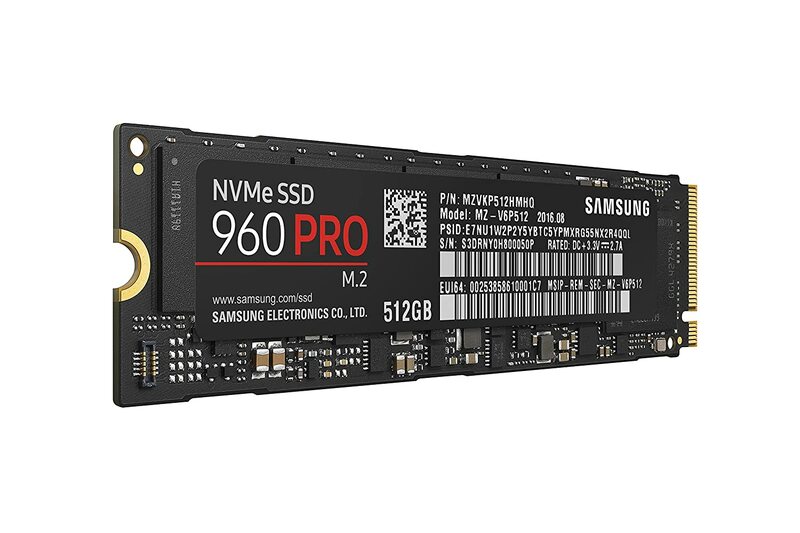 Capacities go up to 2TB, so an SSD is now smaller, easier to install (M.2 doesn’t require a separate power cable) and significantly faster than a hard drive, and can now store similar amounts of data. The 960 Pro is expensive, and there’s no smaller option for those who just want a fast startup drive as a companion to a larger hard drive. Alternatively, the 960 Evo is only guaranteed for a quarter of the life span of the Pro, but it has a quick write (1900Mbit/s) and read speed (3200Mbit/s) and is much cheaper. There are cheaper SSDs if you just want something that's faster than a hard drive, but M.2 really shows potential.